Eridge Village Hall, set against a beautiful rural landscape, with a small picturesque garden and with capacity of about 100, is the perfect venue for your special day. You’ll have exclusive use of the hall from 5.00pm on the Friday until noon on Sunday. If you have other date requirements, just ask – we will do our best to accommodate your needs. Rates are very reasonable and we offer a discount for Eridge residents – click here for details. Inside the hall – getting ready for wedding celebrations! 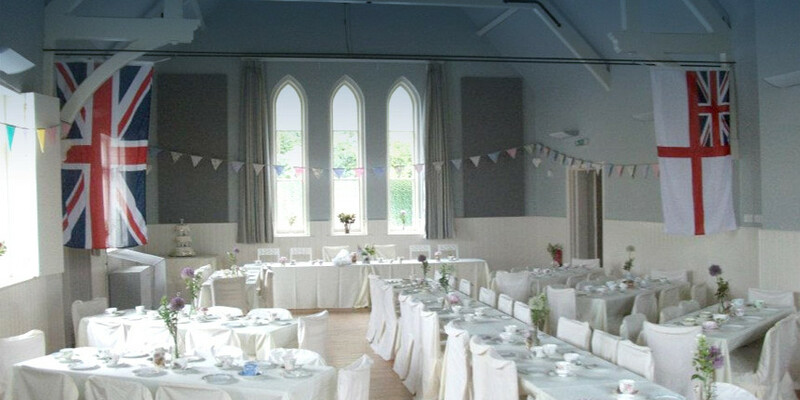 To make a booking or for further information please contact us and we will be happy to help.If you are interested in hiring the hall for your event, or want to know more, or if you are interested in supporting the hall in any way, please contact us on 0740 448 425 or click here to email us.